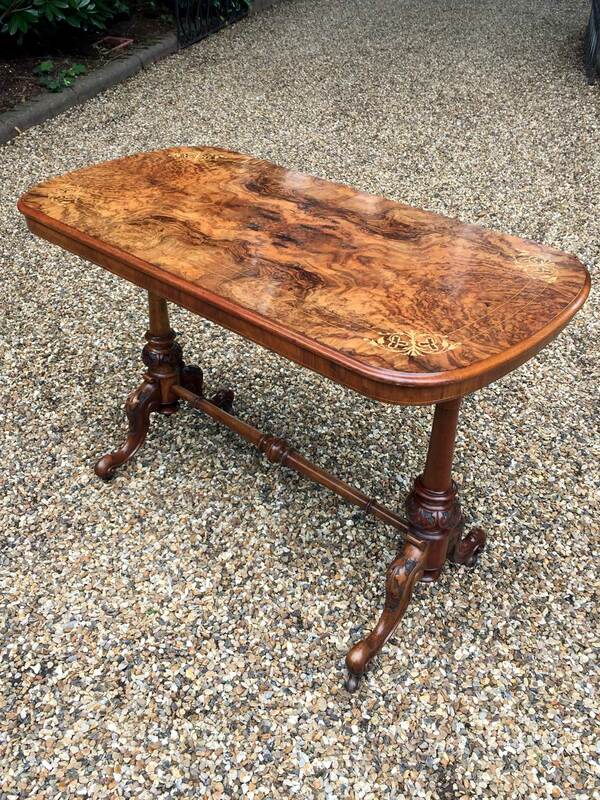 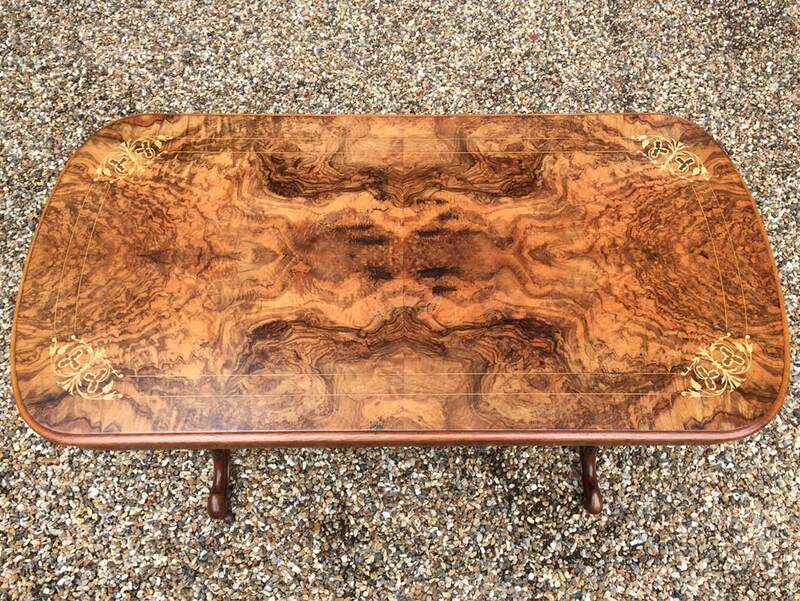 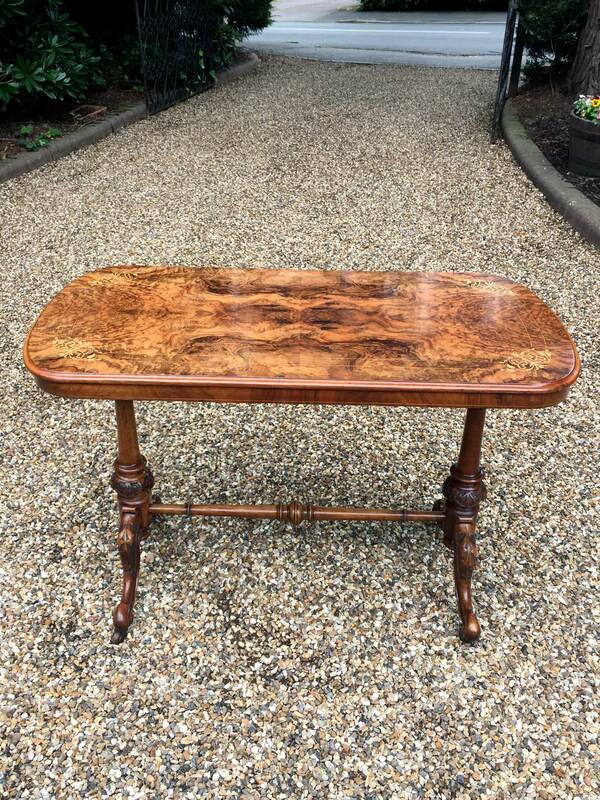 19th Century Victorian Burr Walnut Table with quarter veneer highly figured burr walnut top and frieze. 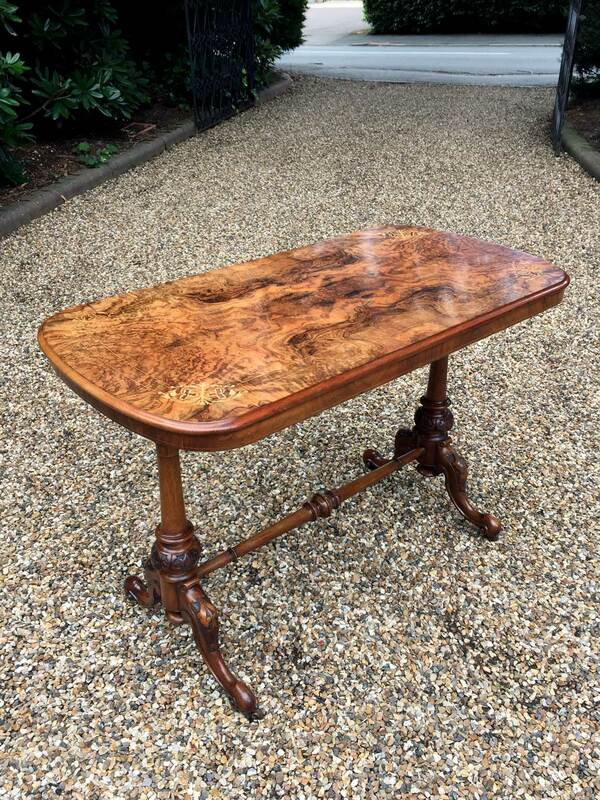 The turned supports have a finely carved decoration to the lower turnings. 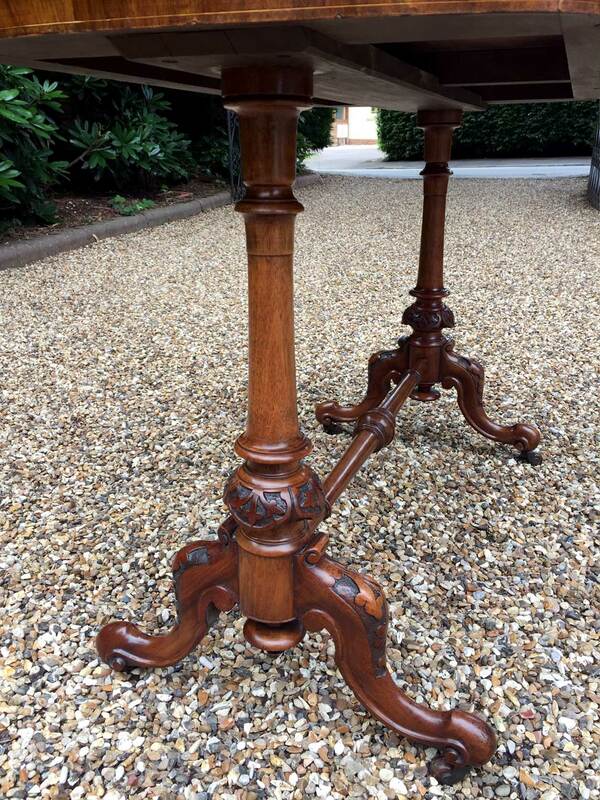 The cabriole legs are well executed and proportioned and terminate with their original china castors.